While some women prefer guys with a rugged and scruffy look, men still need to make an effort to look their best. After all, looks plays an essential part in influencing first impressions and chances of attracting a potential mate. Furthermore, studies found out that being well-groomed can also affect your paycheck. 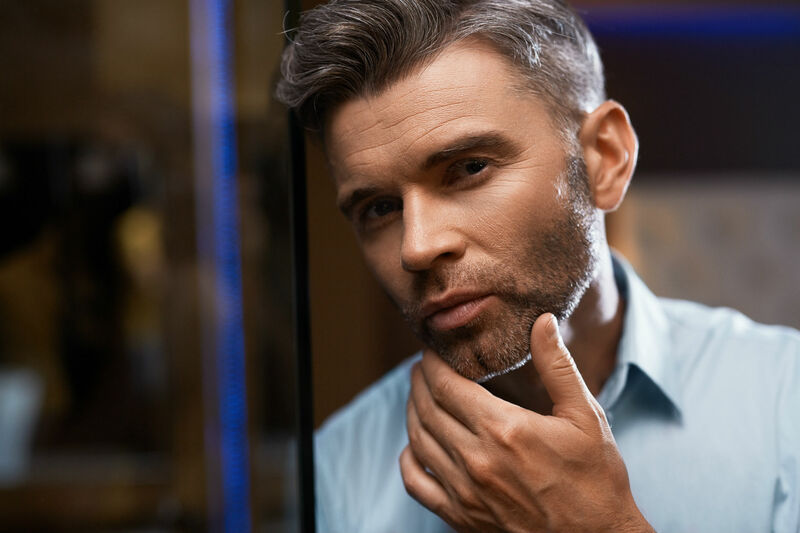 Research from University of Chicago and University of California Irvine found out that well-groomed men earn more than their counterparts. When analyzed and compared salaries, researchers found out that well-groomed individuals (composing of 14,600 men and women) earned $14k more. So yes, being well-groomed do matter. This only makes it important to be aware of the things you can do to make the most of your looks. As a key feature in being handsome or attractive, your personal grooming habits should go beyond showering daily, shaving unwanted hair, and wearing deodorant daily. Women have different preferences about beards and facial hair. If you’re growing one, it is always up to you how you want to trim it, but in most cases, less is more. You can also get the help of a barber for a well-sculpted beard that works well for your face. If you, on the other hand, want a clean-shaven look, you can consider an IPL or laser hair removal in Singapore to lessen your hair and make shaving a lot easier. This is particularly true if you tend to have ingrown hairs on your neck. Laser and IPL can treat ingrown hairs and reduce discoloration caused by them. Looking your best involves taking some time in keeping your complexion vibrant, healthy, and looking young. This means investing in a good face wash, moisturizer, anti-aging cream, as well as sunscreen with an SPF of at least 30 and above. Doing so will not just keep your skin looking refreshed, but also prevent the signs of aging. You can get the help of an aesthetic doctor to find products that match your skin type. 3. Get a good haircut. A quality trim or a professionally styled cut can dramatically change your appearance and make the most of your looks. This is why the next time you get one, don’t hesitate to ask the barber or hairstylist to determine the right cut for your face shape, hair type, and personality. Consider being a regular at your preferred barbershop and schedule your appointment roughly every four to six weeks, depending on how fast your hair grows. When it comes to chest hair, it is fine to keep it as long as it isn’t overly thick and doesn’t cover the entire body part. It’s not necessary to get rid of the hair entirely, but you can trim it to keep it under control. You can also consider aesthetic procedures like laser and IPL hair removal to reduce hair growth, thin it out and make the hairs finer and softer. Back hair can do more than just make you feel embarrassed about taking your shirt off in the summer. It is also a huge turn off for many women, as most find it unappealing. It is mentioned in our previous post about effective hair removal that shaving is the simplest conventional method for dealing with unwanted hair. The bad news is, it can be challenging to do it on your own back and you are likely to be surprised with itchy hair regrowth after several days. Laser hair removal is a good option if you have medium-dark skin whereas IPL or LHE hair removal is suitable for sensitive and fair-medium skin tones. These hair removal procedures destroy the hair follicles to achieve lasting hair reduction results. You can check out our previous blog to learn more about laser hair removal and other methods for dealing with hairy back. Long, dirty, and poorly cared for nails are a huge turn off for many women. This is why you should be looking after your hands and feet, and trim your nails at least every week or once they are long enough. You don’t necessarily have to get a manicure or a pedicure, but if you want to try consider a clear nail polish. Besides, doing so can make both your hands and feet clean and soft to touch. For your eyebrows, trim it once a month and follow the natural shape of your brows. Be careful of cutting too short. In case you’re not sure on how to do it, go a professional salon and ask for a clean trim. While it is understandable that you want to smell good, you don’t have to go overboard with putting too much perfume. Less is usually more when wearing fragrances to avoid overpowering the room. Also, spray your perfume to your skin, specifically at the sides of your neck or at your wrist. But in case you have sensitive skin, spray along your neckline. Maintain a winning smile by brushing your teeth at least twice a day and flossing at least once daily. You can also run your toothbrush lightly over your lips to get rid of dead skin. Then, apply some colorless lip balm before going to sleep to keep your lips healthy and smooth. You should also visit your dentist at least twice a year for regular checkups and cleaning. Don’t hesitate to schedule a whitening session or any other dental procedure that can improve your smile and oral health. Facials may sound too ‘girly’ but the truth is a facial treatment includes professional extraction or exfoliation to remove blackheads, whiteheads, and other impurities that clog the pores causing breakouts. Facials are recommended at least once a month . To give you an idea on how a facial works, read our blog about two facial treatments that are worth your time. Taking some extra time in taking care of yourself can help you put your best face forward. If you have skin or body concerns that you’d like to address or if you want to learn more about body hair removal methods, Contact Cutis Laser Clinics today and find out how we can help you.